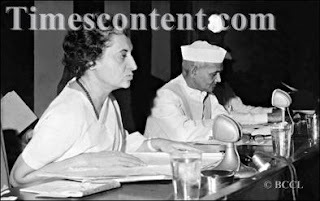 Truth by Kbaig: Indira Gandhi’s Allegations Against UNO in 1965! Indira Gandhi’s Allegations Against UNO in 1965! 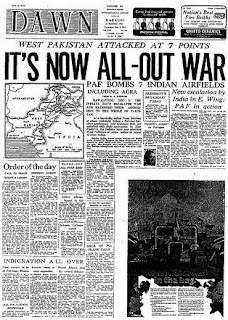 Why India is going to celebrate 50 years celebrations of 1965 war despite of clear defeat? Defense analysts all over the world are presenting their analysis on this question while in Pakistan we do not have any shortage of such elements who are reaping chaos and suspicion over the victory of Pakistan. Although such questions are not being raised in the print or electronic media in talk-shows due to increased respect and credibility of Pak army among the public after successful operations against terrorists, restoration of law and order and successful operations against corruption of big powers. But these discussions are going on in private gatherings in which the victory of Pak-army in 1965 is being questioned and Pak army is being blamed for 1965 war, these elements never feel ashamed following Indian stance and inclinations towards India. A new addition is the NGOs busy in brainwashing youngsters towards India and propaganda against Pak army in the name of humanity and peace. Did Pakistan start 1965 war? The answer of this question is present in the report presented by Secretary General of UNO Mr. U-Thant in the special and emergency meeting of Security Council on the night 0f 7th September 1965 in which he reported that “India has attacked Pakistan with 4 Divisions of army and as a result of resistance from Pakistani side the war may spread over wide area”. This report also contains the losses sustained by Indian army during the attack, as it report caused much shame to the Indians, as a reaction to this report Indira Gandhi daughter of Jawahar Laal Nehru Minister for Information, called an emergency press conference and criticized Mr. U-Thant that he does not get emotional over Pakistan’s interference in Indian Occupied Kashmir and if Indian Army attacks two Pakistani check posts, he gets emotional. Indira Gandhi blamed UNO and Secretary General for biased over Kashmir issue and supporting Pakistani stance. 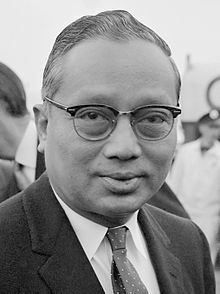 Indira Gandhi’s allegations over Mr. U-Thant were surprising and hurting for most of the diplomats all over the world, because Mr. U-Thant from Burma (Myanmar) was respected as a man of letters and principals and famous for never hesitating in saying the truth. Despite of cold war between USA and Soviet Union both countries respected him due to his qualities. Reacting over the Indira Gandhi’s allegations, representative of UNO termed her press conference as hurting. UNO representative further disclosed that Secretary General U-Thant invited representatives of Pakistan and India to UNO in his office, so that both countries maybe advised by UNO to resolve the issues between both countries. Pakistani representative agreed to visit but Indian representative on the order of New Delhi and conditioned the meeting with UNO’s statement against Pakistan and terming Pakistan as aggressive country. Mr. U-Thant termed these demands as unnecessary. 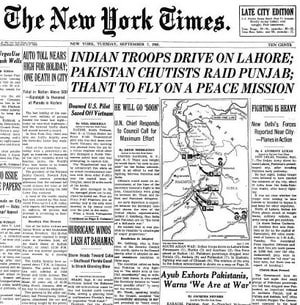 According to the headings of the international newspapers of that time, Indian army had entered into Lahore while the ground situation was much different. News reporters from Islamabad and New Delhi were reporting only that Indian army had to lick the dust over all the battle fronts despite of having many times bigger army equipped with better weapons retreating not due to lack of professionalism but due to lack of courage. The determination of Pak army and unbreakable defense was clearly visible in the trust shown by Pakistani public. While reporting the situation in Pakistan during war, famous BBC representative Mark Telly got emotional because he was astonished that when signal for air attack was raised, public climbed over their roof tops in spite of hiding in the trenches to see the Indian jets being shot down in the hands of Pakistan Air Force. This fearlessness of Pakistani Public was the proof of Pakistan’s supremacy in war and victory against India.